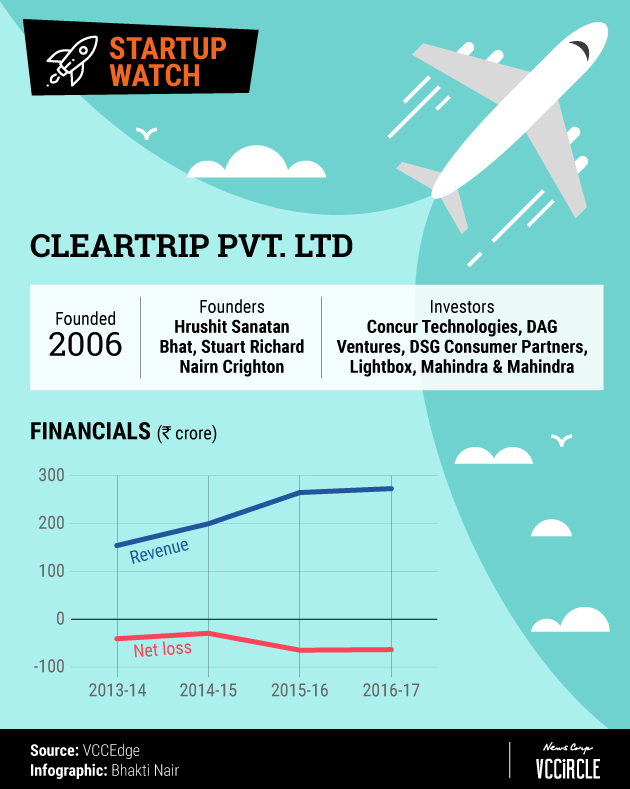 Stiff competition and discounting in the Indian online travel segment seems to have adversely impacted online travel services company Cleartrip Pvt. Ltd.
Mumbai-based Cleartrip reported revenue of Rs 273 crore in the financial year ended March 2017 from India, up barely 3% from the Rs 265 crore it reported in the previous financial year. However, the company had managed to keep the expenditure stable, which stood at Rs 306 crore in March 2017 as compared with Rs 303 crore in 2015-16. Still, the firm has seen its loss widen to around Rs 65 crore in the last two financial years from Rs 29 crore in 2014-15. The company says it has now sharpened its foreign focus. It has extensive operations in West Asian countries. The firm did not divulge any details on how big the international markets are. "We are doubling our scale in international markets, building upon our leadership position. The public financials (available with Registrar of Companies) exclude our international operations, which are profitable. We have seen improving operating margins across our products and markets," the company said in a statement to TechCircle. It added that it had registered around 50% growth in the international market. Cleartrip has seen less growth in India than MakeMyTrip and Yatra. It said it will grow its global revenue at 30% for the year ending March 2018. During the December 2017 quarter, MakeMyTrip doubled its revenue and Yatra saw its revenue grow 46%. "We have always maintained a sharp focus on capital efficiency and unit economics. Of all consumer internet businesses (not just in travel) in this part of the world, we probably have the highest capital efficiency ratio, which has allowed us to build a $1.2 billion business while raising a small fraction of the capital that our peers have raised. We have achieved this by having a product-led strategy, instead of a capital-led or discount-led strategy, and this has held us in good stead in the current environment," Cleartrip said in a statement. The December quarter period has seen its competitors in India like MakeMyTrip and Yatra racking up rising losses. For MakeMyTrip, losses went up during the same period to $110 million from $88 million a year ago. For Yatra losses grew by more than five-fold to $91 million from $18 million. MakeMyTrip had recently merged with another leading player Ibibo Group. Cleartrip said it was focusing on its core products -- like activities in India -- and the international market. "Our core products and markets have been consistently profitable, with double-digit operating margins. We have re-invested these profits into new products and growth markets, operating at close to break-even margins overall for the last few years. As these investments scale up over the next few quarters, operating leverage will kick in and drive overall profitability," the company said in the statement. However, it did not clarify which are the growth markets. 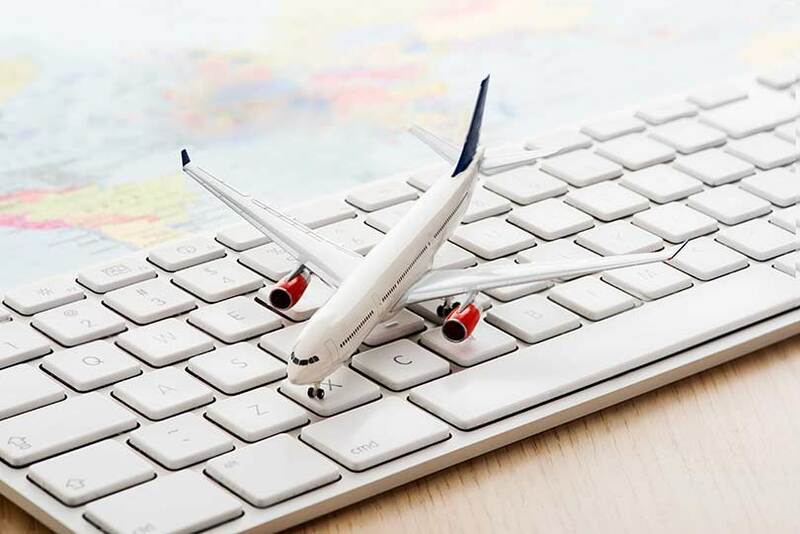 The online travel agencies face challenges in terms of declining margins in flight-ticket bookings while the growing hotel segment has seen massive discounting led by new hotel brands like Oyo, FabHotels and Treebo. Cleartrip said that with a profitable core product, it has taken a strategic call to reinvest this money in growth areas and operate at near break-even margins. "Over the next few quarters, these investments will scale up and drive overall profitability," the statement said.